PlayOnLinux will use an older version for installing and running Photoshop CS4 so it doesn't matter what Wine version you install. 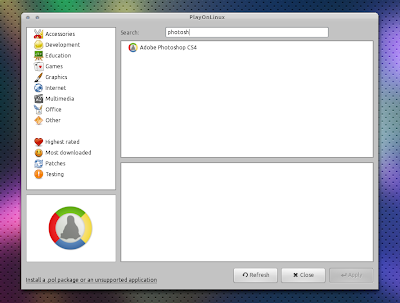 Once selected, click "Forward" and the Photoshop setup window should be displayed - now simply install Photoshop like on Windows. 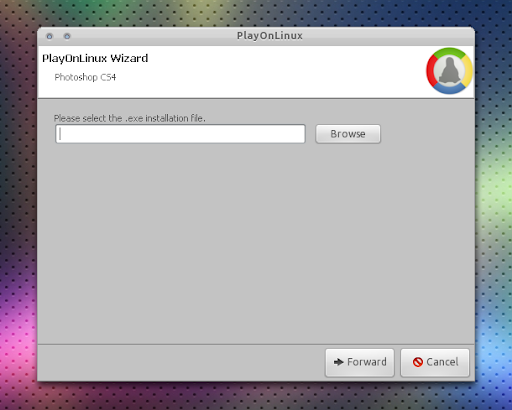 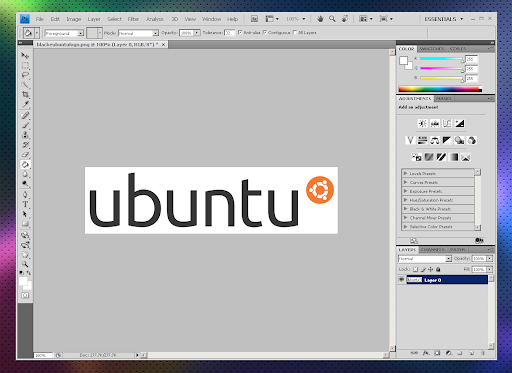 When finished, PlayOnLinux will let you add a shortcut in the menu (or on your desktop) which you can use to run Photoshop CS4.